Even though today is a holiday, it is not going to be a day off from homeschool/summer school. The learning possibilities are too numerous to pass up by not having some lessons. Movies are are the planner for today also. E suggested we watch The Patriot, and she and B can, but that’s not suitable for my younger boys. We all can watch this episode of Liberty’s Kids though. Finally, we’ll end up our studies in the kitchen. 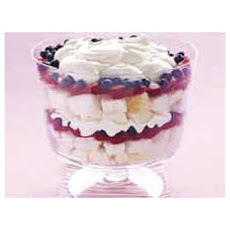 We’ll be making this simple angel food cake, blueberry, strawberry, and whipped cream layered dessert. We even have a community service project tonight. We will be passing out mosquito repellant bracelets with our church at our city’s fireworks display. 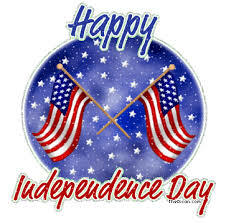 This entry was posted in American History, Our Homeschool, Special Days, summer school and tagged 4th of July, history, homeschooling, Independence Day, July's calendar studies, summer school, teacher resource links on July 4, 2013 by Betty Jo.